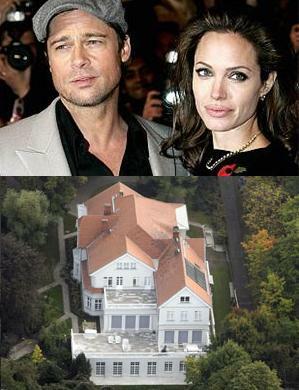 Brangelina Consider Adopting Seventh Kid? It seems Hollywood couple is not content with their large brood as Brad Pitt and Angelina Jolie are believed to be planning to expand their brood further by adopting again. The celebrity couple, who recently squashed rumors that they had secretly split, are thought to be considering adopting a child from Namibia, where their first biological child, daughter Shiloh, was born two years ago, according to a report. The 32-year-old actress, who adopted sons Maddox, seven, and Pax, four, from Cambodia and Vietnam, and three-year-old daughter Zahara, from Ethiopia, all later co-adopted by 44-year-old Pitt. The actress gave birth to twins Knox and Vivienne two months ago. Meanwhile, the celebrity couple, who frequently traveled to other parts of the world, is believed to be on the move again. Four months after they signed a long lease on a French chateau in a massive vineyard near Nice, where Angelina Jolie gave birth to the twins, they have moved to Germany while Pitt makes his next film. They are expected to stay at Palais Parkschloss on Wannsee Lake, near Berlin, a 30,000 square foot mansion with a private helicopter pad and a dock, for about three months while he shoots the Quentin Tarantino film “Inglorious Bastards”.